The Balfe Motorsport Team will once again be heading into the unknown this weekend, as it prepares for Oschersleben and Round 7 of the FIA GT Championship (August 26-28). 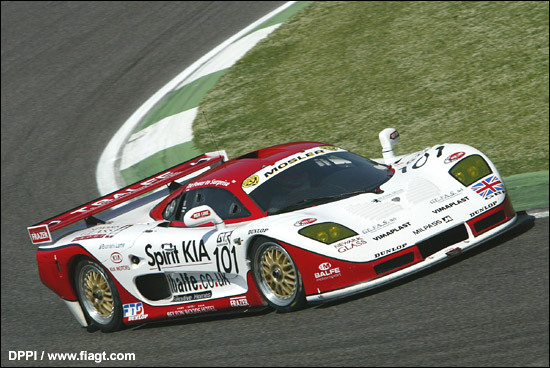 The whole team is hoping that the German venue will be good for the Spirit Kia backed Mosler MT900R as the outfit is going into the weekend blind, with neither driver or any of the team members having been to the circuit before: a completely blank sheet of paper if ever there was one. However, the Balfe Motorsport team has managed in similar circumstances at a handful of the other rounds so far this year, and it has still been the closest team to the GruppeM Porsches, so things should not be too difficult for them. Every member of the team is ready to get back to racing, after a long break since Brno at the end of June. The time away from the series has given the guys at the workshop ample time to fine-tune a few things that they wanted to on the car. But, such a long gap away from the tracks has meant that they are all keen to once again take the battle to the Porsches and the German circuit could well be another opportunity to pull a surprise result. Both drivers are ready to get to grips with the track quickly too. Team-mate Balfe kept his racing momentum sharp with a brief foray back into the Radical Championship during the break from Mosler FIA duties, setting a new outright lap record at his local venue of Cadwell Park in the process. He is also relishing the challenge of a new track. “It’s definitely nice to go to somewhere different to race,” he said. “We had a lot of that last year in the Spanish Championship and although starting from scratch at the beginning of an FIA GT weekend isn’t ideal, we’ve had the same situation for most of the season, so we shouldn’t be too far away by the end of the race on Sunday. I hope not anyway! Although the season is only just over half-way through, this might well be the final FIA GT outing for the Spirit Kia Mosler this year. 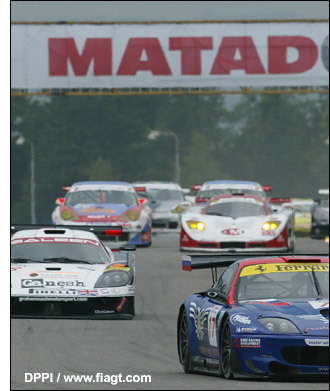 The 2005 FIA GT campaign was always going to be a toe-in-the-water exercise for the team. However, with tentative plans for 2006 already being looked at, an early end to the season could well be what the team needs to put everything into place for a full attack next year. 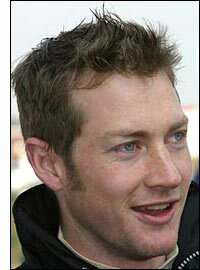 “We announced that we’d only be doing the European races at the start of the year,” said Shaun. “We always knew that this was going to be a reasonably short season and we have a few avenues that we need to go down with regards to next year, and the extra time that this might give us could be useful.